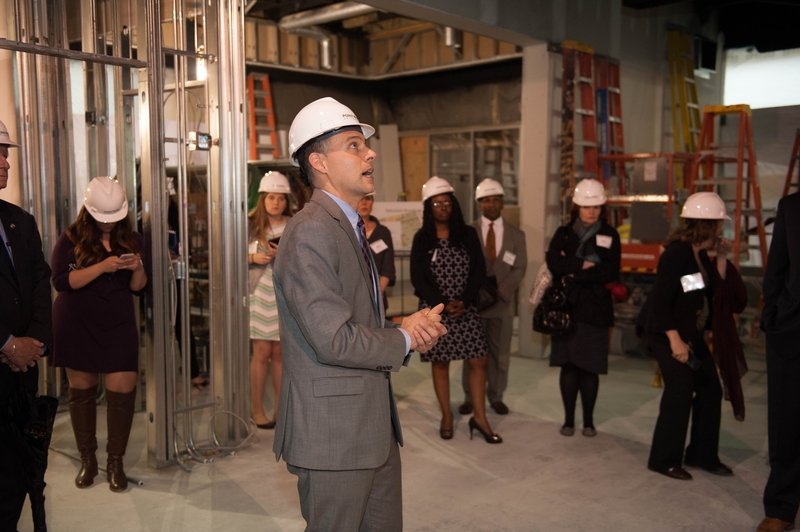 We hosted a tour of the Center for Media Innovation with several Point Park alumni and members of the local media clubs. It seems like everyone has a great idea for saving journalism — and I’m loving it. Ever since taking over as director of the new Center for Media Innovation at Point Park University, I have been swamped with proposals for new projects. People are pumped for good journalism and for making sure young people still see a bright future in this profession. At the same time, walls are going up! I have been in the Center almost daily over the past couple of weeks and it’s great to see the place coming together, moving from the paper designs to actual plasterboard and glass. Every week brings some new development: The news ticker has arrived! We recently hosted a tour of the Center for several Point Park alumni and leaders of the local media clubs — including Kim Palmiero, president of the Press Club of Western Pennsylvania, Tory Parrish, president of the Pittsburgh Black Media Federation, and Stacey Federoff, president of the Women’s Press Club of Pittsburgh. We are on schedule to open for the fall semester. 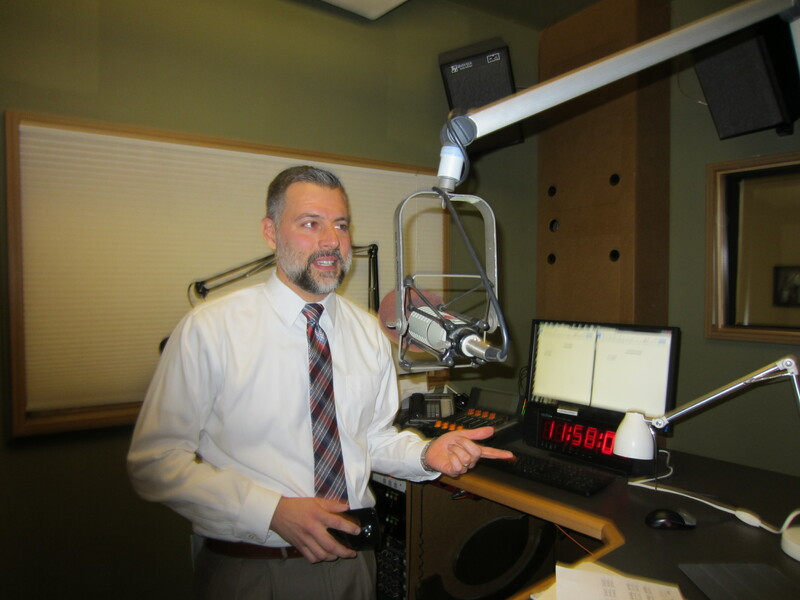 An old (bearded) photo of me hosting Essential Pittsburgh at WESA-FM. That’s fine, but it doesn’t fill newspapers (or the Internet, for that matter). I finally got three top cybersecurity experts in Pittsburgh to sit down with me for interviews. Because the moment was so rare, I told them I would do a story for the Tribune-Review — but I also wanted to know if they would do the interviews on Essential Pittsburgh, the daily talk show on WESA 90.5 FM, Pittsburgh’s NPR station. A cool shadowy photo of FBI agent Chris Geary. 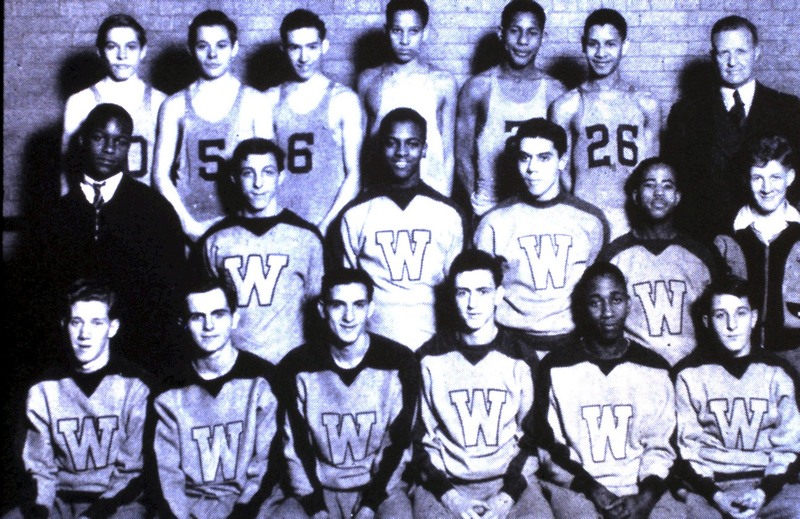 Taken by the Trib’s Stephanie Strasburg. They all agreed. 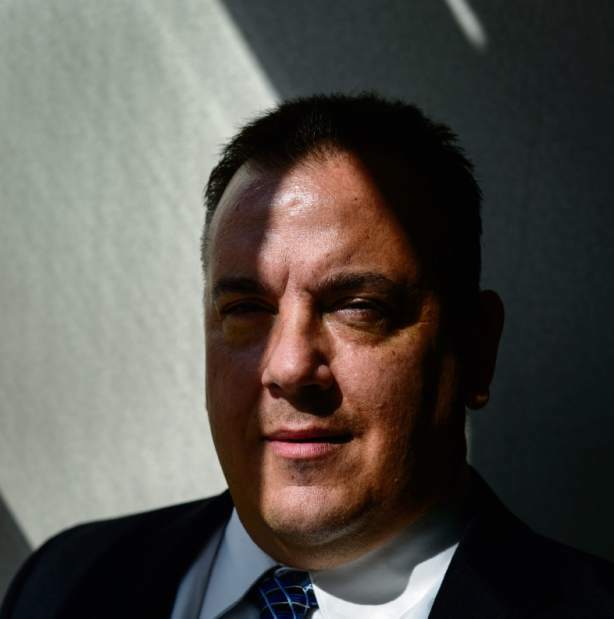 First, you can hear two Pittsburgh FBI agents — Mike Christman, assistant special agent in charge of cyber, and Chris Geary, who heads one of two Pittsburgh-based cyber investigations teams. They talk about growing up nearby and how they take threats to Pittsburgh companies as a personal issue. Later, I interviewed Maria Vello, president emeritus of the National Cyber-Forensics & Training Alliance, a Pittsburgh nonprofit that tracks down black hat hackers — and that keeps such a low profile you’ve probably never heard of them. Maria’s description of the precautions she takes with her own debit card and online persona will freak you out. It did me. 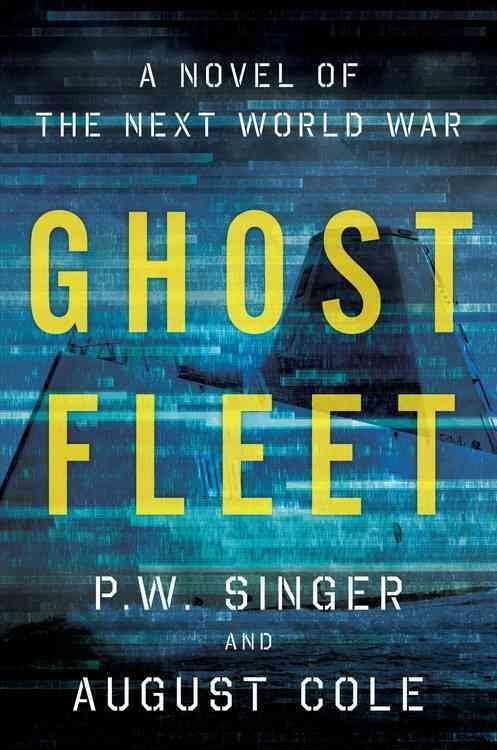 Finally, I talked with Peter Singer, author of a new fiction book (with nonfiction footnotes) about the consequences of a cyber attack on the United States. We figured that interview would round out a solid hour of cyber talk!